Powered by Volvo 71A single diesel engine fully rebuilt only 100 hours ago. Vessel presents well overall with a recent paint job to hull. Antifoul and prop speed has just been completed in October 2018. Exceptional accommodation with V berth forward, bunks to port and double bed in saloon. New fridge to saloon, battery charger with digital voltmeter, new manual davit, new clears, new speakers and sound system. Simple classic vessel with a great deck space and spacious flybridge. 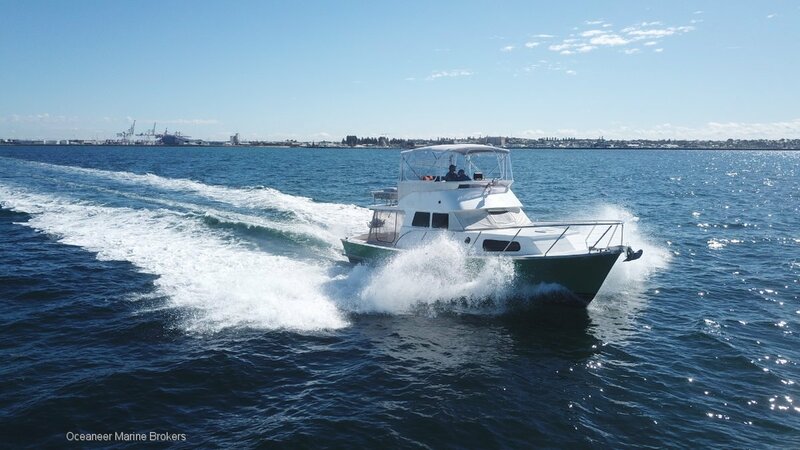 Please call Oceaneer Marine Brokers on (08) 9243 6373 or email sales@oceaneermarine. Com. Au for full inventory and details.